It's time to visit with our favorite characters! Grab a seat and join us for an interactive storytime featuring books, crafts and games about your favorite character. At the end of each program the character will arrive for a special meet and greet! It's time to visit with our favorite characters! 7PM at Keego Harbor City Hall. LIVE on Civic Center TV. Click for more information. Share concerns, have help and support from others facing substance abuse in their families, address your needs, review ways to cope, empower instead of enabling. Open Fridays at 11am - 3pm. Click for more information on tours and hours. Are You Concerned About Another's Drug Use? 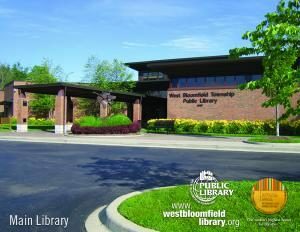 Educational monthly Saturday workshop at Henry Ford West Bloomfield at 10am. Click for more information. On Monday's at 5:30pm, watch a new episode of The Splash on Civic Center TV. Click for more information. With its 2018 Best Picture award nominations, the Academy of Motion Picture Arts and Sciences created a Best Picture Category too close to call.